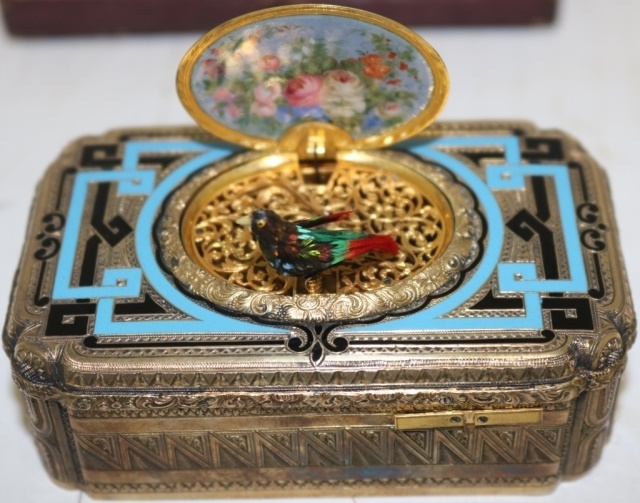 Nearly 1,500 lots of fine art and antiques will be up for bid in Thomaston Place Auction Galleries’ fall auction, slated for the weekend of November 17th, 18th and 19th – three full days – online and at Thomaston Place’s gallery in Thomaston, Maine. 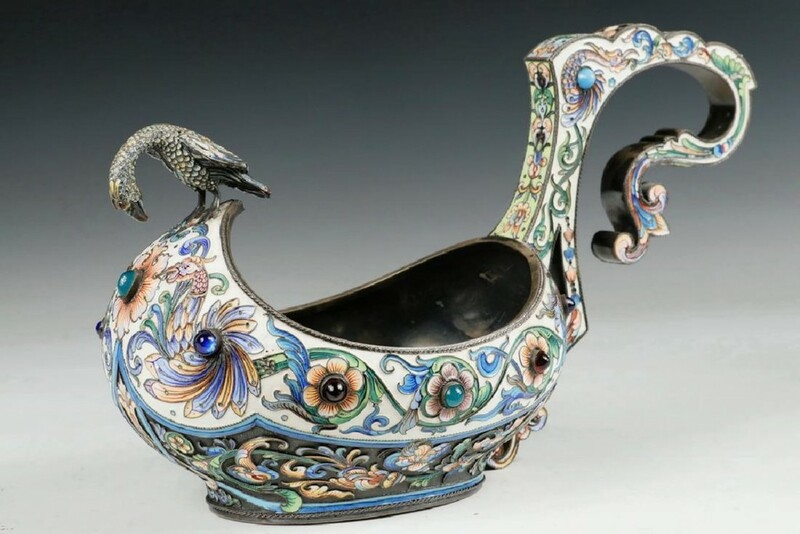 The Friday (Nov. 17) session will feature more than 500 lots of furniture, fine art and decorative items from the Richard Thompson and Richard French collections, both of Wiscasset, Maine. 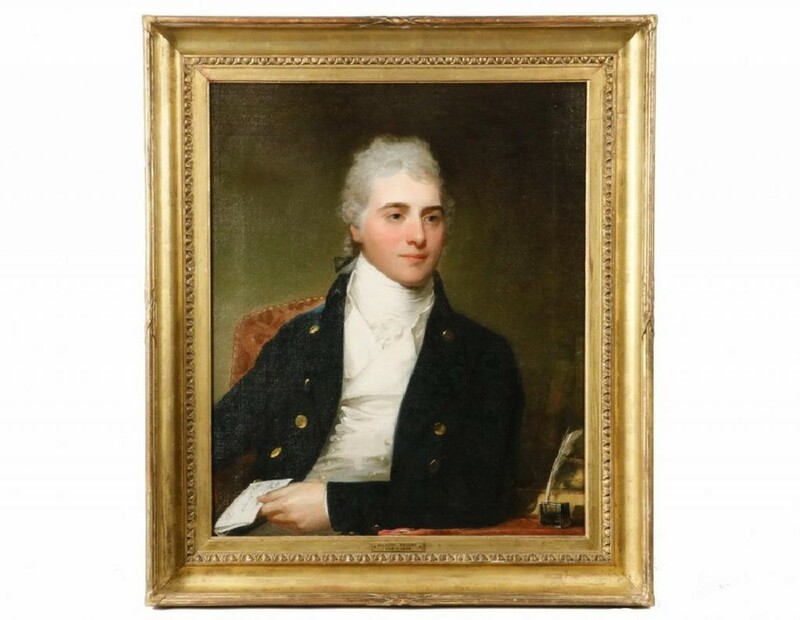 More than 200 original paintings will be offered, by noted artists such as Gilbert Charles Stuart, Julien Dupre, Louis Jambor, Anthony Thieme, Charles Daubigny, Andrew Wyeth and others. 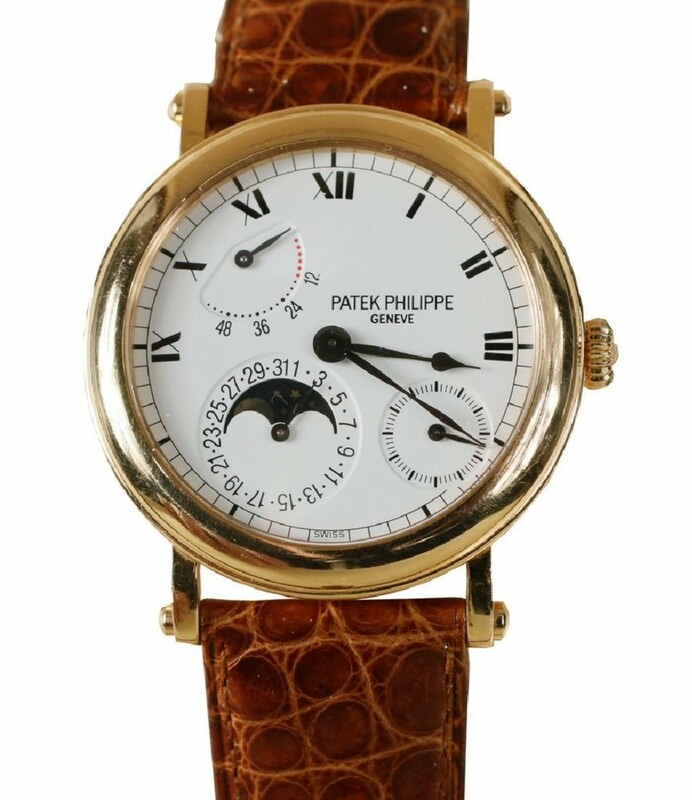 Other highlights of the three-day event will include a variety of European and American furniture; an interesting selection of Russian items, including a Faberge picture frame, desk clock and perfume bottle; a wide variety of superb timepieces, to include tall clocks, desk clocks and wristwatches by makers such as Lacloche Freres, Tiffany, Sonnerie and Patek Philippe; over 35 lots of ephemera, featuring items from a lifelong Civil War collector, to include signatures of Abraham Lincoln, Edwin Stanton, U.S. Grant and Robert E. Lee; marine art and items; Asian art; jewelry; silver; a large selection of fine rugs and more. Click here to find out more. On Friday, November 25th at 10 am Eastern time, Marion Antique Auctions will conduct its annual Thanksgiving weekend auction, at the Marion Music Hall, a historic brick structure overlooking Marion Harbor in Marion, Mass. From the estate of Cynthia Bryden, whose family owned Pairpoint Glass Company, will come a fine selection of Pairpoint, Tiffany and Steuben glass, plus a collection of paintings by Baltimore artist Melvin Miller. A collection of Fall River Steamship Line prints and ephemera from the estate of Julian Paul will come up for bid, as will a pair of Willard clocks from an old Rochester, Mass., home. Toys, dolls and working 19th century automations are a few of the more popular offerings. American and European paintings will dominate this sale, which includes a large winter landscape by William Preston Phelps, two Lemuel D. Eldreds, a C. H. Gifford, an A. T. Bricher with a New Bedford Whaling Museum provenance, Theresa Bernstein, Frank Vining Smith, Brian Coole and Marshall Johnson. 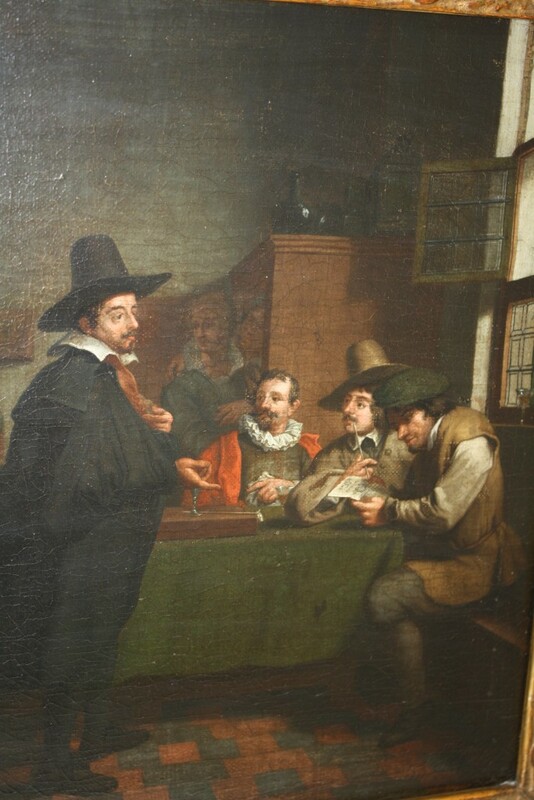 There is also a collection of European paintings, from Jan Horemans, Johann Kasper and J. C. Huber. One of the more interesting and valuable items in this sale is a large, almost life-size marble sculpture by Fortunato Galli (Italian, early 20th century). The statue depicts a classical woman, possibly Venus, and stands 66 inches tall. Also up for bid will be three bronze sculptures by Beverly Seamans. For more info, click here. From Charlottetown to Vancouver, Consignor Canadian Fine Art gathered art treasures to offer in their semi-annual auction of Important Canadian Art, slated for Thursday, November 23rd, featuring significant works by notable Canadian artists such as Emily Carr, Mary Pratt and Alex Colville. 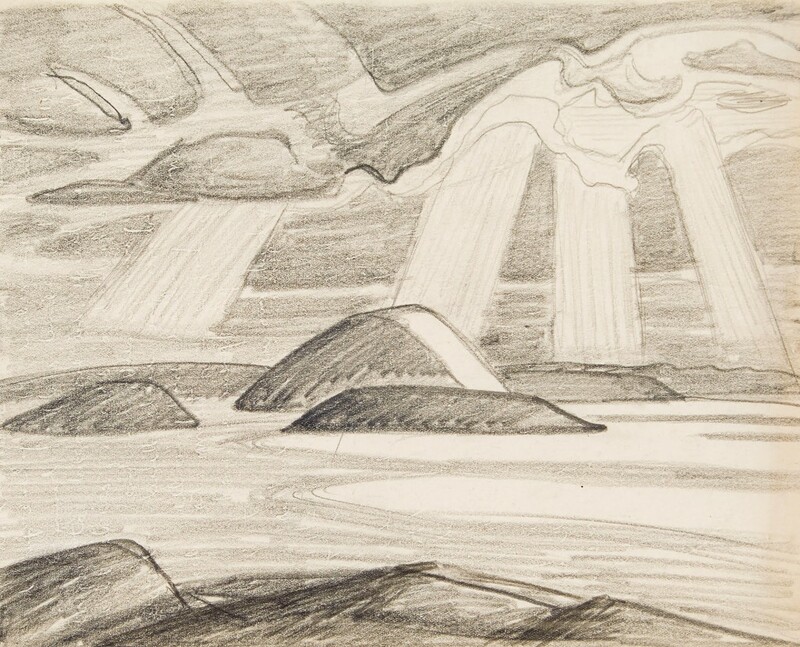 But one lot that promises to attract keen bidder interest is a rare pencil sketch by Lawren Harris, the preparatory work for one of his most renowned canvases, Lake Superior, which currently hangs in the Thomson collection in the Art Gallery in Ontario. The sketch has been assigned an estimate of $20,000-$30,000. The auction will also feature a completed oil painting by Harris, a Toronto landscape titled Rear of Houses, Frances Street (est. $200,000-$250,000). 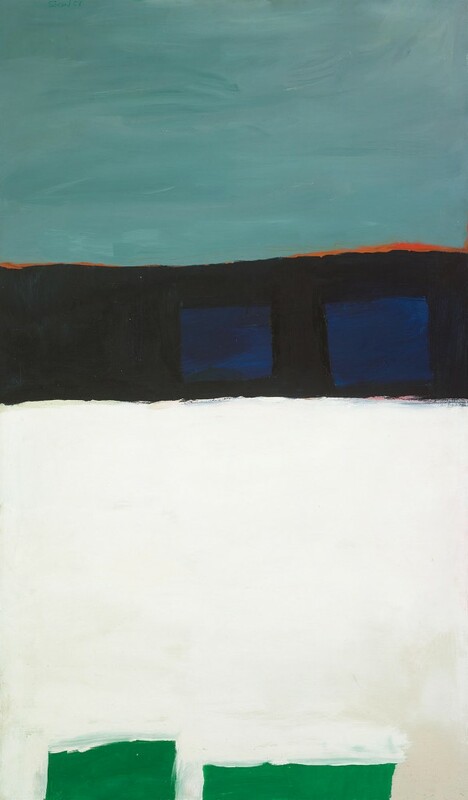 It was featured in the Toronto showing of the Steve Martin curated exhibition, The Idea of North. 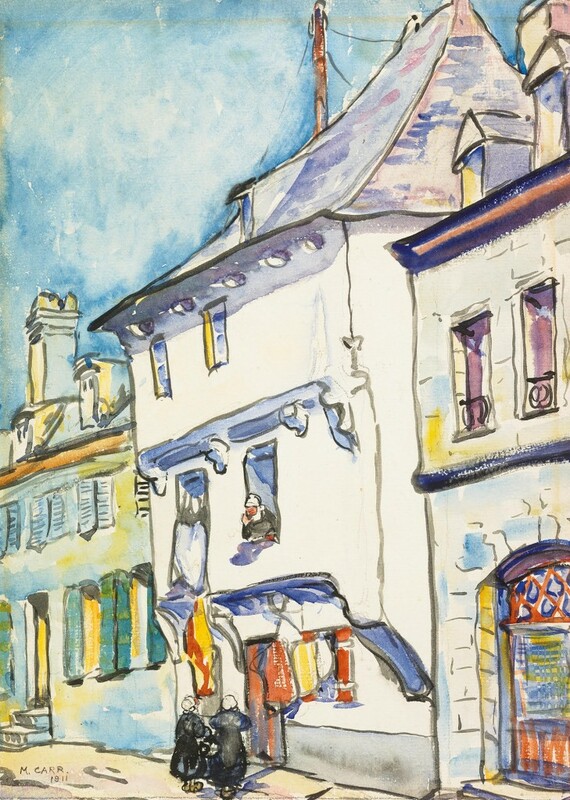 Other paintings in the auction will include a 1911 watercolor by Emily Carr, titled European Street Scene, rendered in France (est. $150,000-$175,000); a very early outdoor oil sketch by A.J. Casson, titled Bridge Over Humber River (est. $20,000-$30,000); and Mary Pratt’s Baking Bread (est. $30,000-$40,000). The auction will be held at the Gardiner Museum in Toronto, Canada. Find out more here.